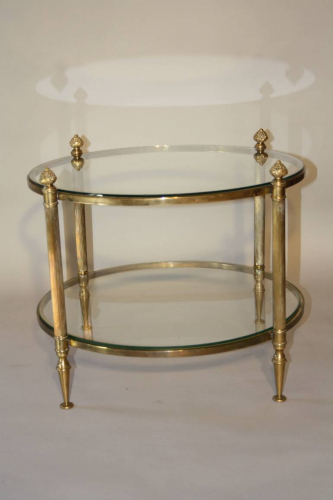 An elegant reeded and finial gold metal base with circular glass shelves. French c1950. There is a small chip to bottom glass shelf as seen in photo which is hardly visible and does not detract from the overall appearance.